When homeowner associations were flush with cash, Rizzetta & Co. advised them on how to improve services for residents. That all changed after the Great Recession destroyed the Florida housing market. Some homeowners stopped paying dues. Grass grew wild. Abandoned homes dotted the landscape. 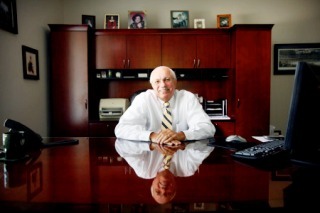 At that time, William Rizzetta, president of the Tampa-based firm, had to become more of an adviser helping HOAs survive. As delinquencies swelled, HOAs looked for ways to trim expenses. Delinquencies forced many HOAs to tack on special assessments and to renegotiate prices with vendors to maintain services. "We are asked to do more with less," he said. "But the residents still want the same level of services. That's the toughest part of our job." The 26-year-old company employs more than 70 people in six Florida cities and manages the finances of more than 100 community associations with 32,000 homes. It also provides management services to 114 community development districts in 19 Florida counties. Rizzetta spoke recently with the St. Petersburg Times as more HOAs foreclose on delinquent homeowners in the Sunshine State. “The priority should be on reducing or eliminating services that will have the least impact on the residents’ lifestyle and peace of mind,” William Rizzetta says of the challenges facing cash-strapped community and homeowner associations. His 26-year-old company employs more than 70 people in six Florida cities. Until the economy improves, what are the biggest hurdles facing community associations? Many HOAs are short on cash, which creates challenges in maintaining community amenities and in keeping up lots or homes that are vacated or run down. In many cases, homeowners aren't paying their association assessments, and in some cases, developers or home builders aren't meeting their financial obligations. The lack of operating cash often requires associations to cut back on maintenance or to suspend some services. What is the biggest lesson that homeowner associations learned from the housing crisis? Be flexible and creative; many associations operate far differently than they did five years ago. Probably the biggest lessons relate to how an HOA should prioritize what is truly important to the residents. The priority should be on reducing or eliminating services that will have the least impact on the residents' lifestyle and peace of mind. While flowers certainly look nice, being able to use pools and fitness centers, which can ease stress and help people be healthier, is clearly more important, for example. Are HOAs overzealous when foreclosing on properties for a few thousand dollars? I would not say they are overzealous at all. Most associations exhaust all options before making the decision to spend association funds to foreclose. Not enforcing collection of fees creates more of a "Why should I pay?" attitude among members who aren't financially strapped. Besides, an HOA has a fiduciary responsibility to follow the prescribed collection process contained in a community's governing documents. How do HOAs balance the need of foreclosing on homes with evicting their neighbors? Associations and their boards have an obligation to act in the best interest of their community, and a balance can be maintained by keeping some perspective. This issue is not about evicting John Doe, your neighbor. It's about following the method prescribed by a community's documents and applicable state law for the enforcement and collection of fees, for the benefit of "all members" of the association. What advice would you give potential buyers about purchasing a home in an area covered by a community association? Read! Read! Read! This is the same advice that we have given for years. Don't commit yourself to anything unless you know what you are getting into. Before you buy, take a good look around the community — specifically at homes, lots, common areas and amenities. The maintenance standards will be apparent, and it's important for you to be comfortable with them. Ask to see the most recent financial statements. An HOA's cash position is important, as is information about its obligations, debt and reserves. Find out if there are enough reserves for repair and replacement of major capital items. Check the history of special assessments and annual assessment increases, and see how many members are delinquent on payments. Also, a buyer should be well versed on an association's governing documents, especially related to deed restrictions and architectural control. The time to learn that you can't put up the fence you want is not after you close on a home.